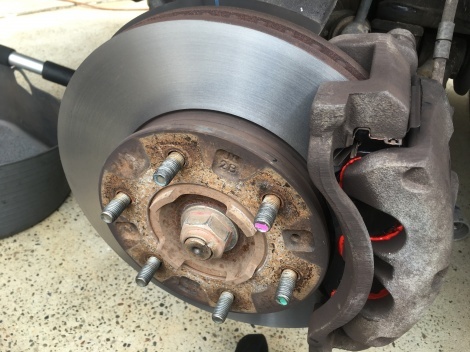 This is the result of Newcastle Mobile Brake Specialists. Better than new machined true front disc rotors and Bendix Heavy Duty disc pads fitted to provide optimum braking efficiency that is require for the big Mazda BT50. Belmont NSW.